As you can imagine, the Easter Egg Garland are SO easy to make! 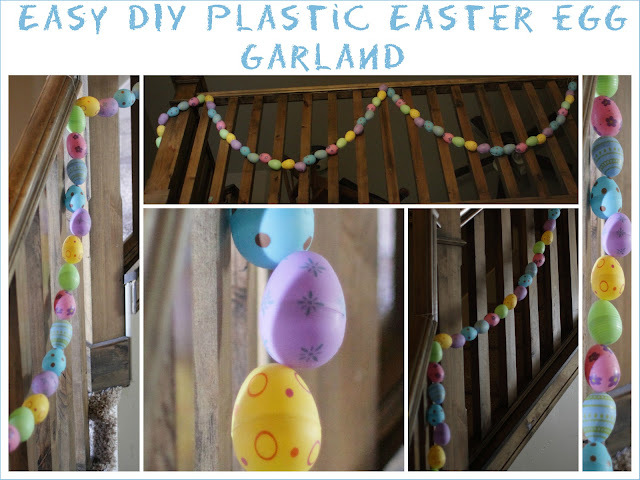 All you need is twine, a needle and plastic easter eggs. There are almost always little holes on both sides of the plastic eggs. Open the egg up to be able to string through both sides. Close egg and move on to the next one!